Replacing an entire fence or post can be an expensive and difficult task. 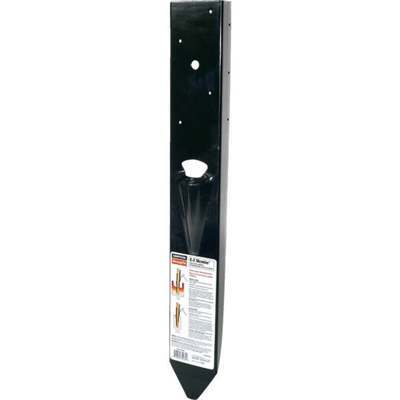 The FPBM44 helps make repairing and reinforcing 4x4 fence posts easy and economical. Allows easy repair of rotting or damaged 4x4 wood posts installed in concrete ordirt. Reinforces weakened wood posts without having to replace the post or concrete. Installs with hot-dip galvanized screws or nails. 12-gauge black powder-coated finish steel for corrosion resistance.